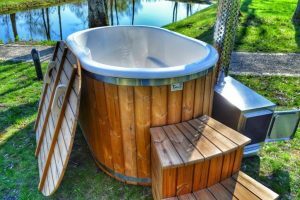 A small and compact, without any unnecessary capacity, an ofuro tub only for two of you. 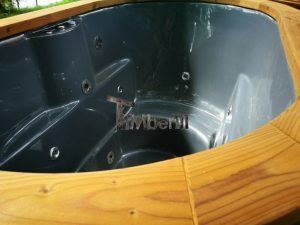 Luxurious, fiberglass lid with conical walls will impress you after the first try. 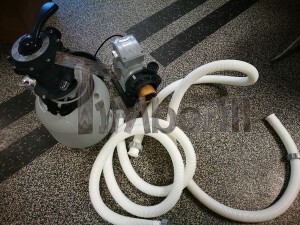 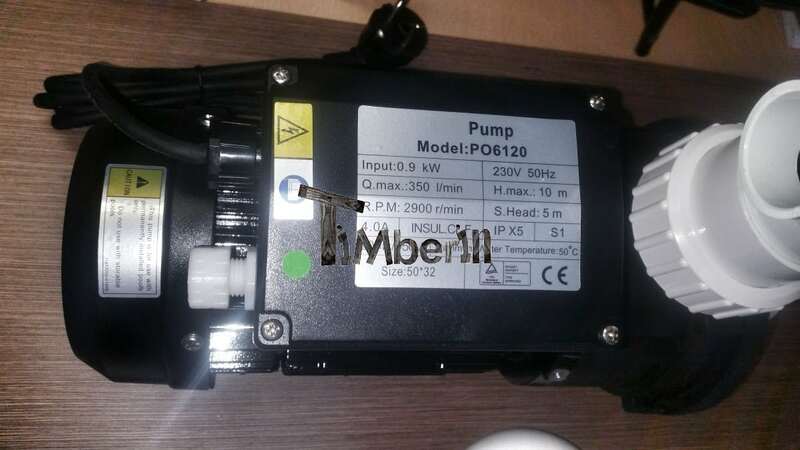 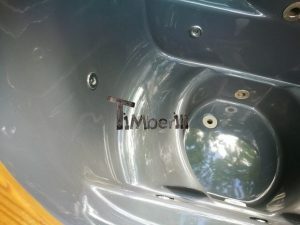 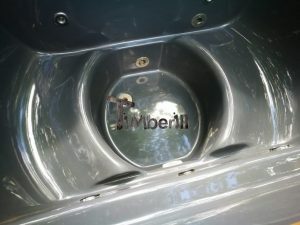 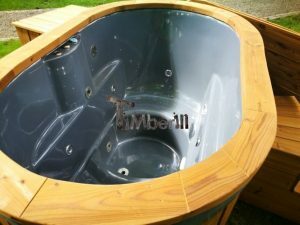 For the best comfort, one should also consider hydro or air massage, as both of them may be installed in this model. 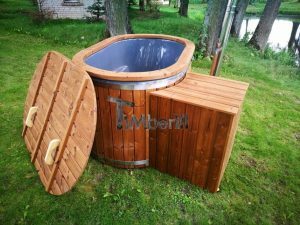 Wooden lid perfectly fits the style, as well as the stairs. 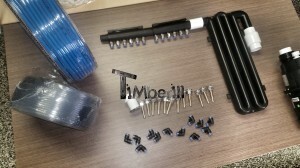 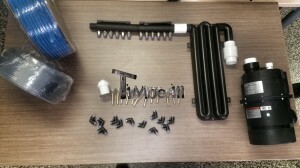 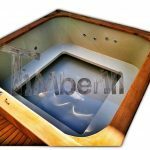 There is a possibility of having an electric or external heater, but if you want, both of them can be installed in your tub. 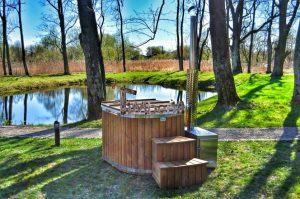 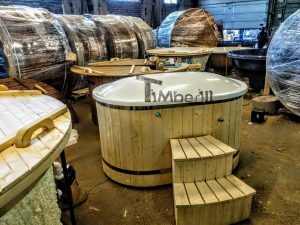 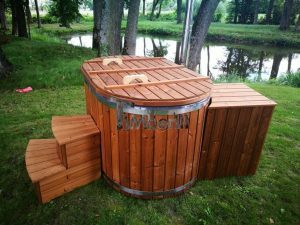 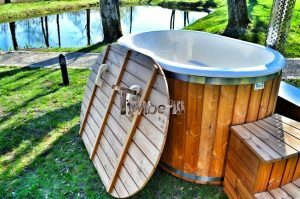 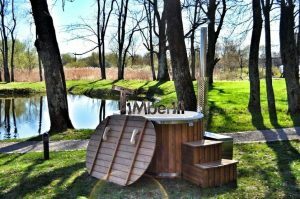 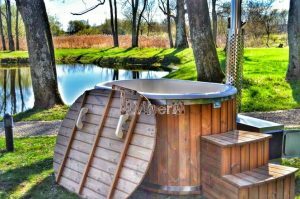 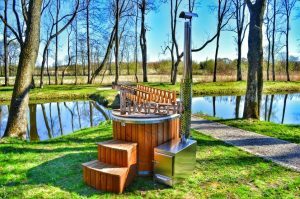 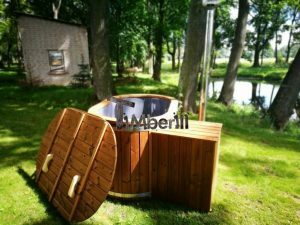 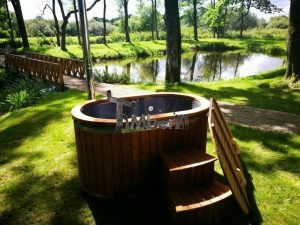 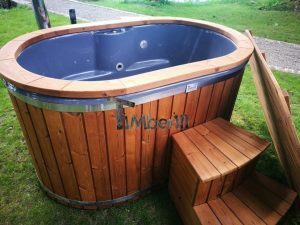 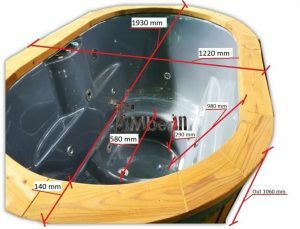 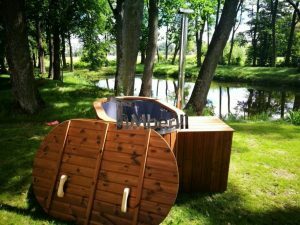 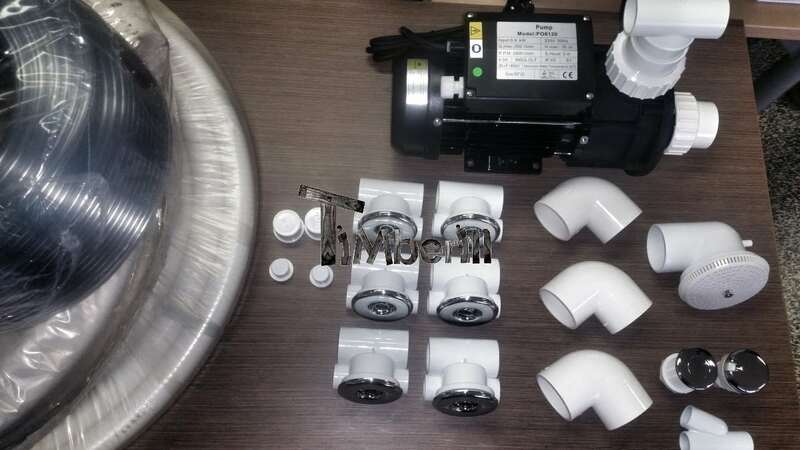 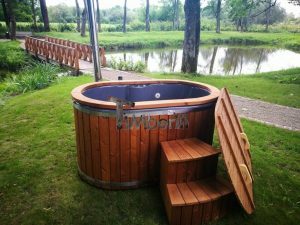 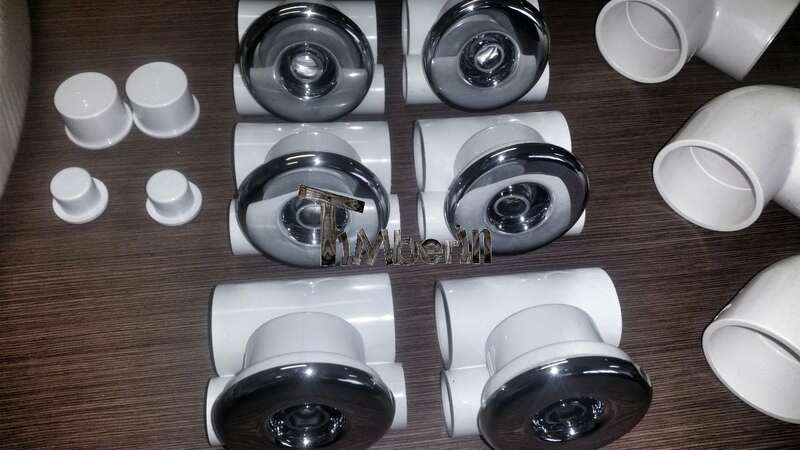 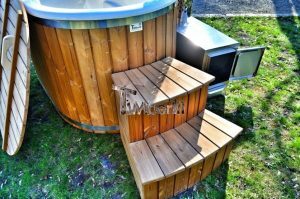 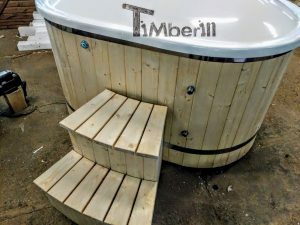 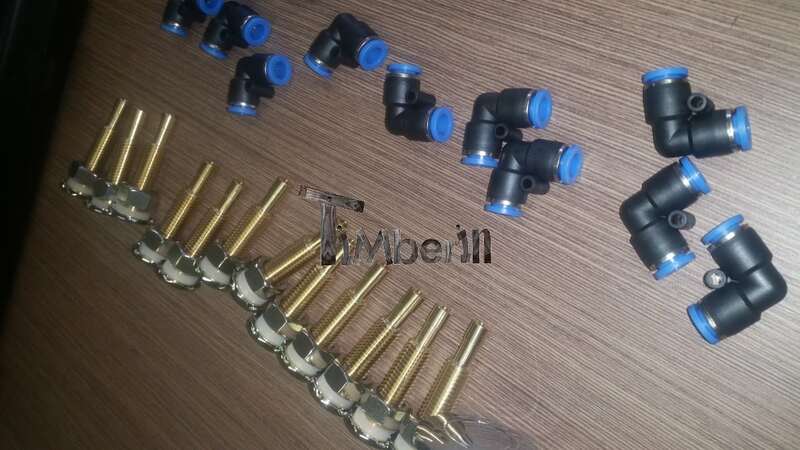 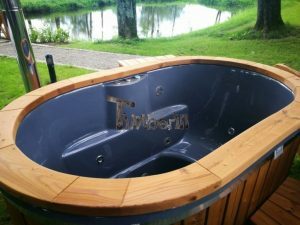 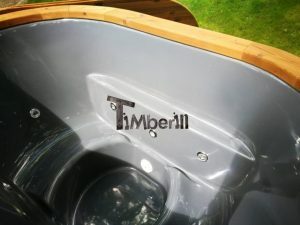 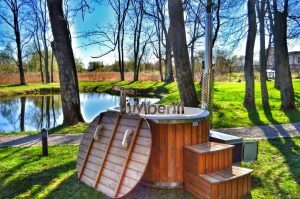 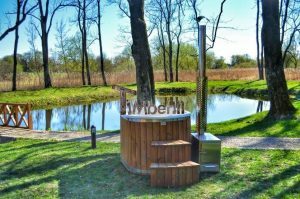 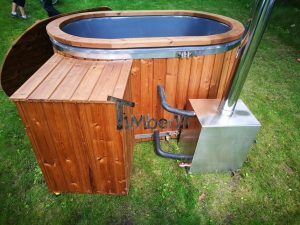 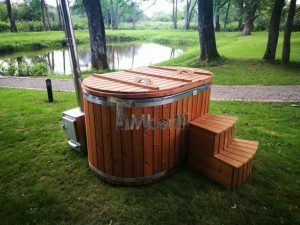 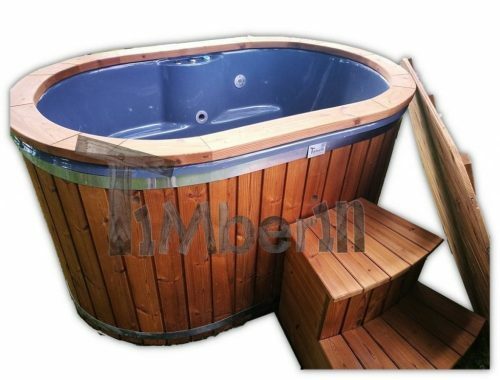 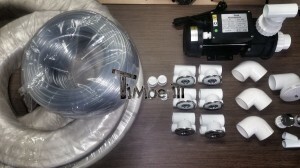 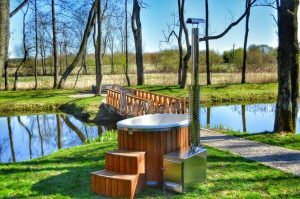 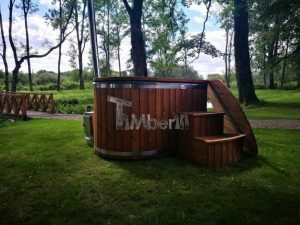 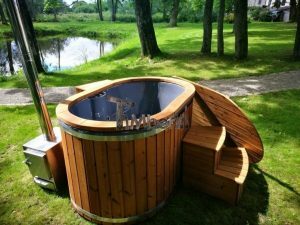 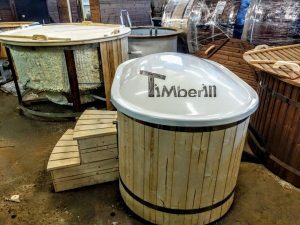 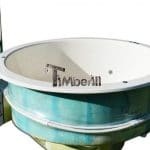 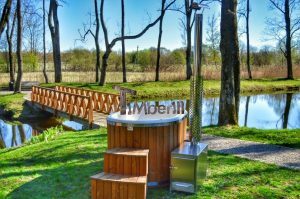 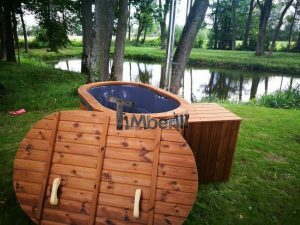 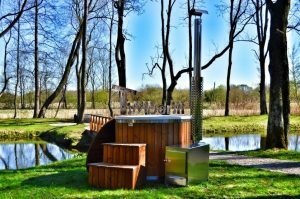 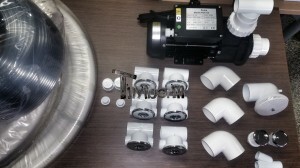 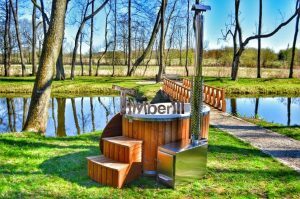 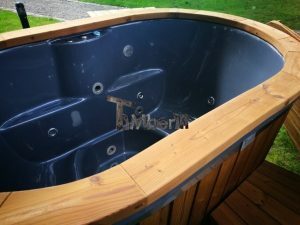 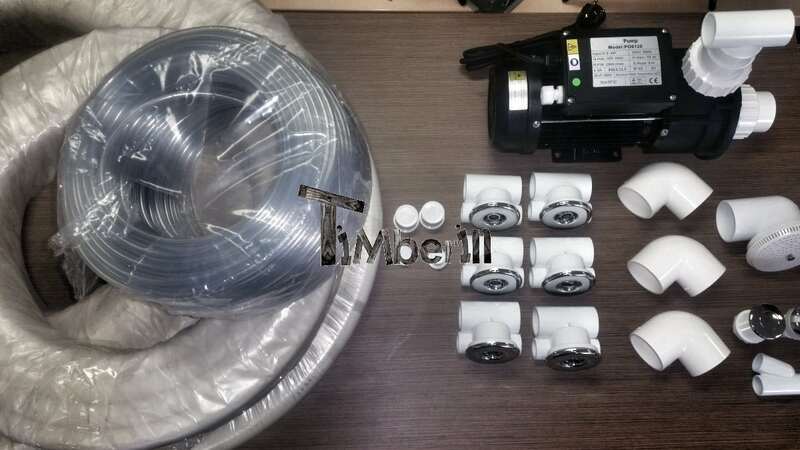 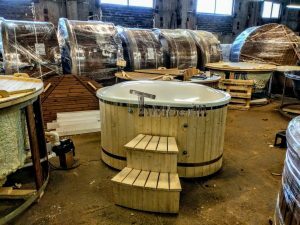 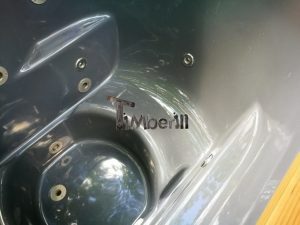 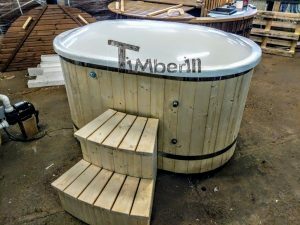 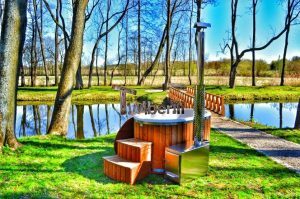 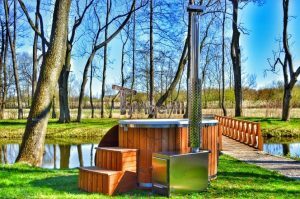 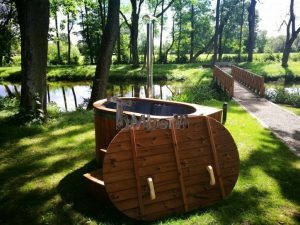 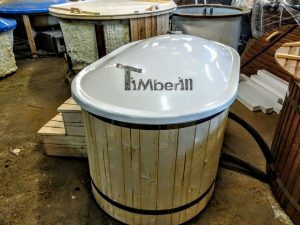 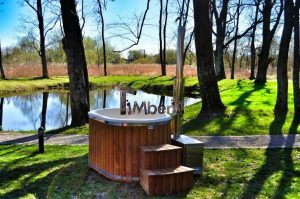 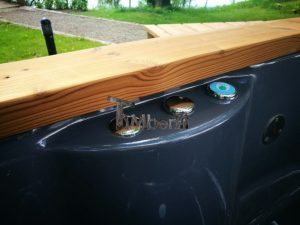 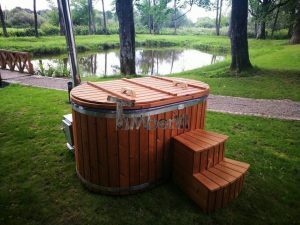 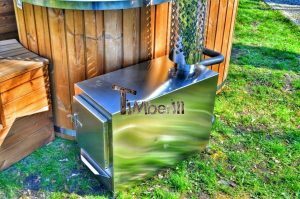 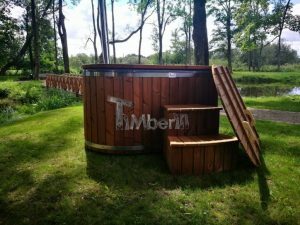 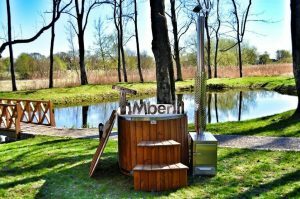 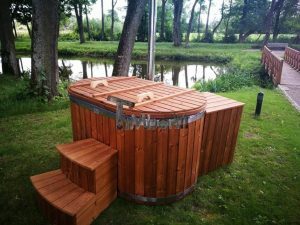 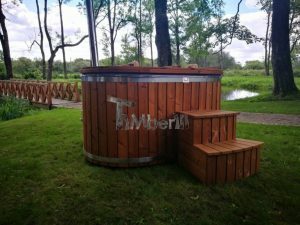 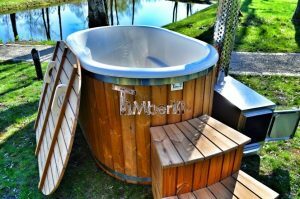 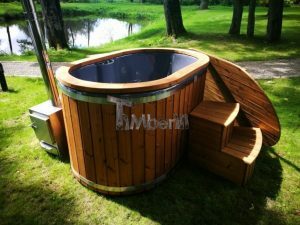 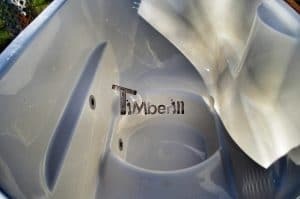 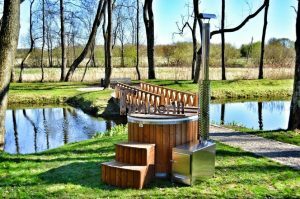 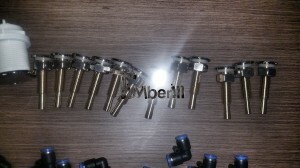 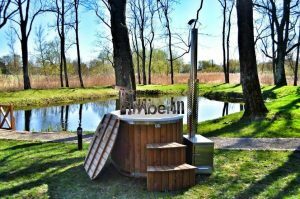 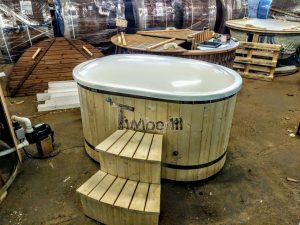 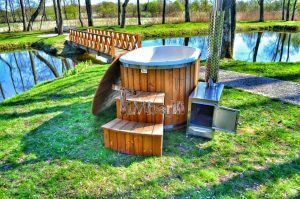 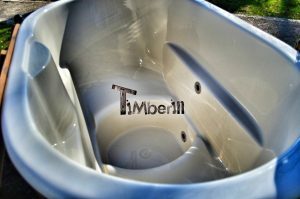 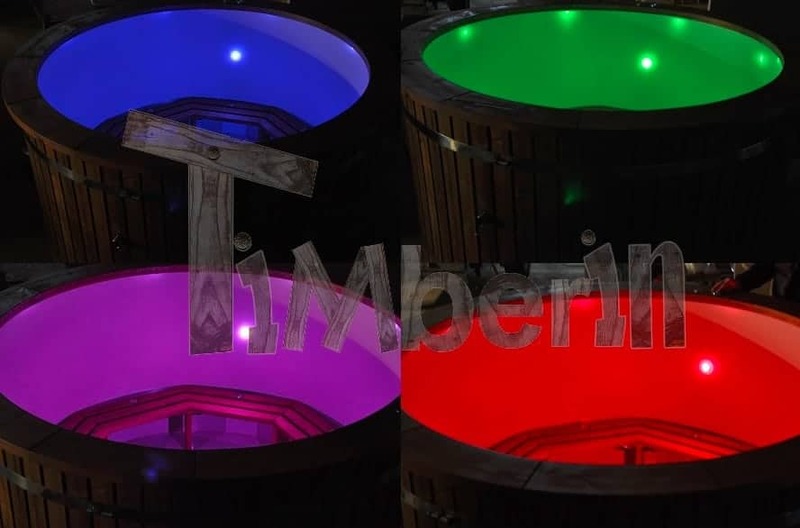 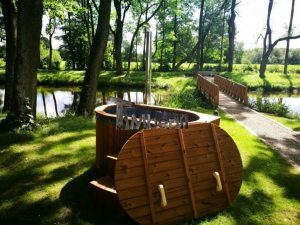 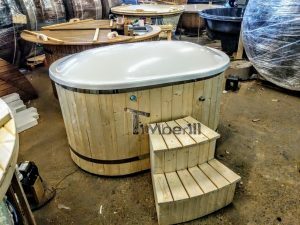 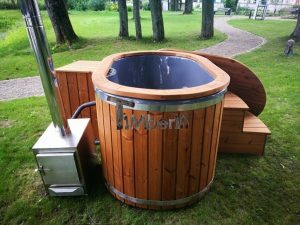 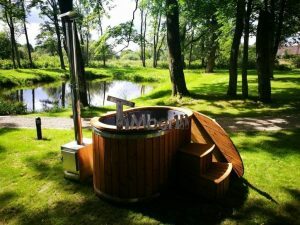 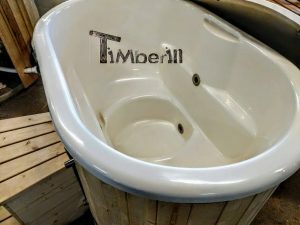 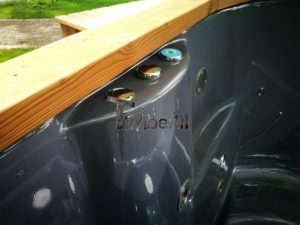 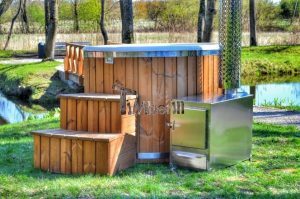 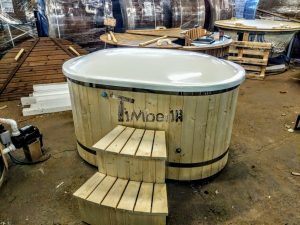 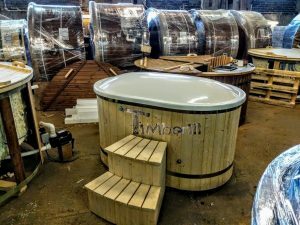 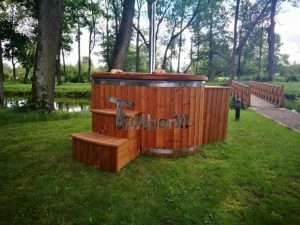 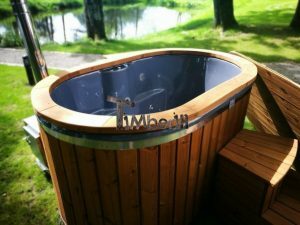 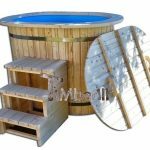 The whole is tub is very compact itself and will not require a lot of space in your yard, but will give an unforgettable experience that you can enjoy whenever you want. 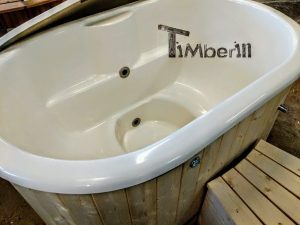 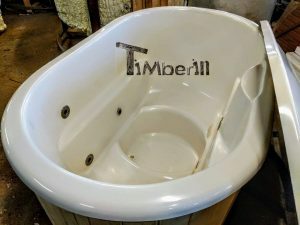 This tub will heat up very quickly compared with bigger ones and will save you time and money. 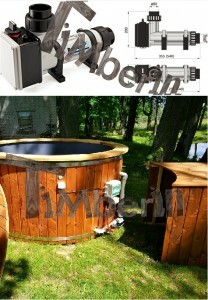 Fiberglass makes the maintenance very easy, and for the water care, we highly recommend the filtration system. 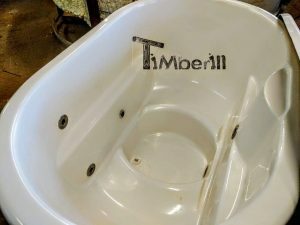 No worries about dirty water and just a nice time spent in the tub.